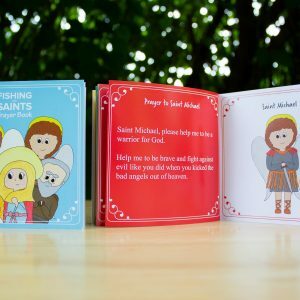 Your children will love playing the Fishing for Saints Card Game! Your children will learn to recognize the saints as they collect pairs of the saints. 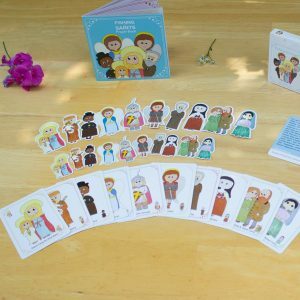 Each Saint Sticker Set includes ten, two-inch stickers and ten, mini stickers of the saints from this deck. 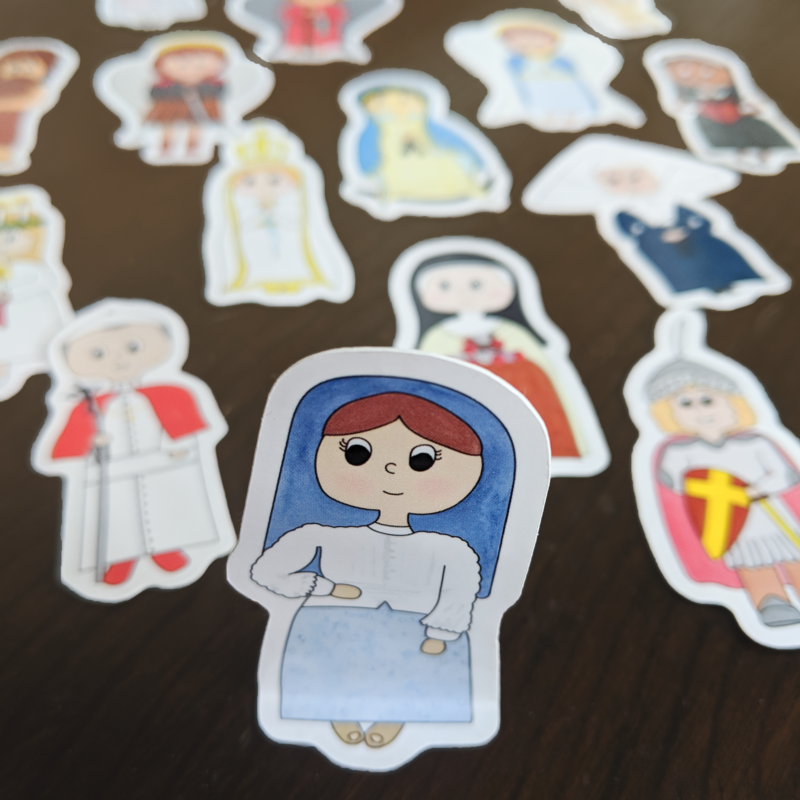 Stickers are printed on high gloss UV paper with an easy peal back. 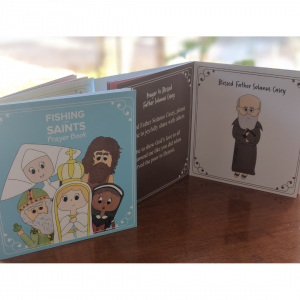 This prayer book includes prayers to each of the 10 saints included in this version of Fishing for Saints. 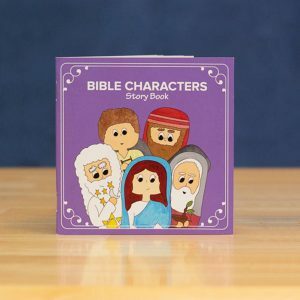 Each prayer is written especially for little hearts. Shuffle and deal 5 cards to each player with the rest in the middle face down. 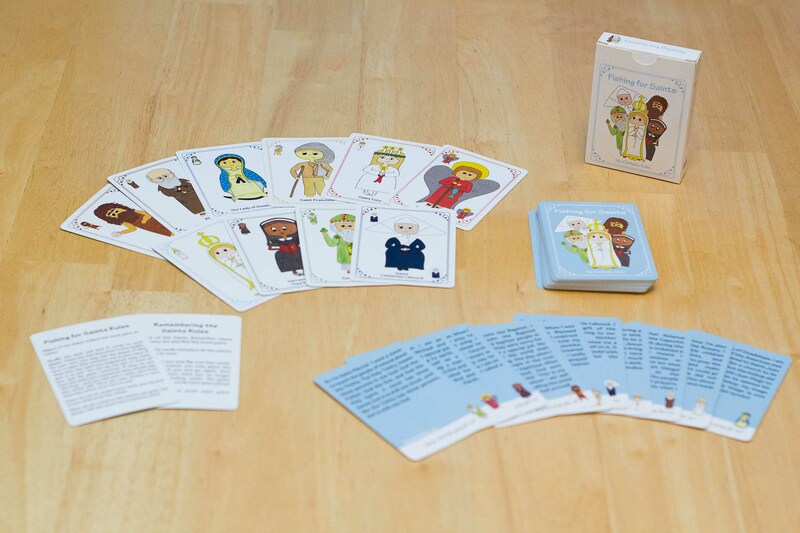 On your turn you may ask any player if they have a saint that would match a saint in your hand. If they have the saint you requested they must give it to you. You can lay the pair in front of you and keep going. If they do not have the saint you requested, they will tell you, “Go Pray.” At this point, you will pick a saint card from the center pile. Once you have chosen a saint card from the center your turn is over. If you run out of cards in your hand you can pick 5 new cards from the center. When all the cards in the center are gone the player with the most saint matches wins! 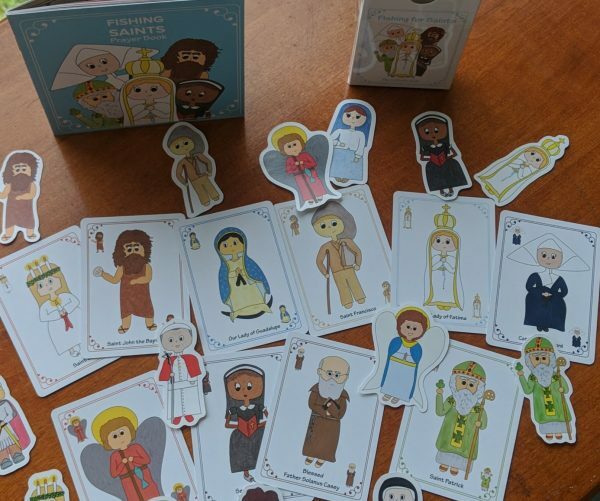 Object of the Game: Remember where the saints are and find the most pairs of saints. To begin shuffle and place all saints face down in rows. On your turn, you may flip over two cards. If the cards match you may place the pair in front of you and go again. Your turn will continue until you no longer choose two cards that match. 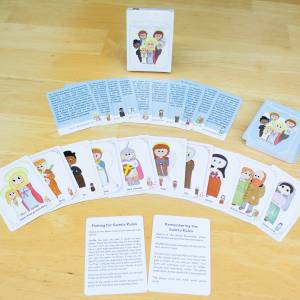 The game ends when all the cards have been paired. The player with the most saint pairs wins!